After months of hard planning, with emails flashing across cyberspace, we finally gain permission for an expedition to Ardres, on the Opal Coast in France. And so it was that 41 cadets and 6 staff gathered in Rotherham to board a coach. 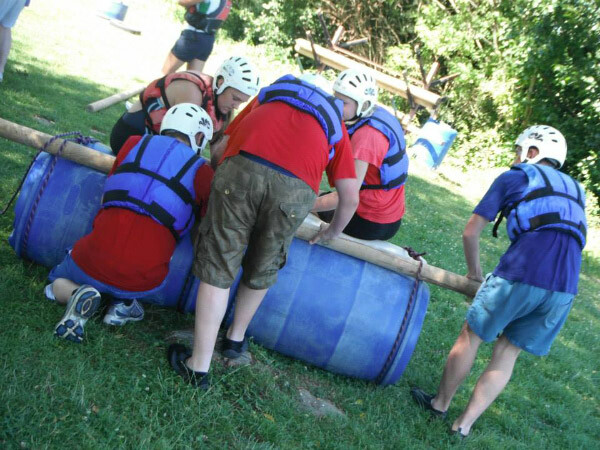 The purpose of the expedition was to gain leadership and teamwork skills and to build confidence. This would be achieved by a number of activities with different outcomes. 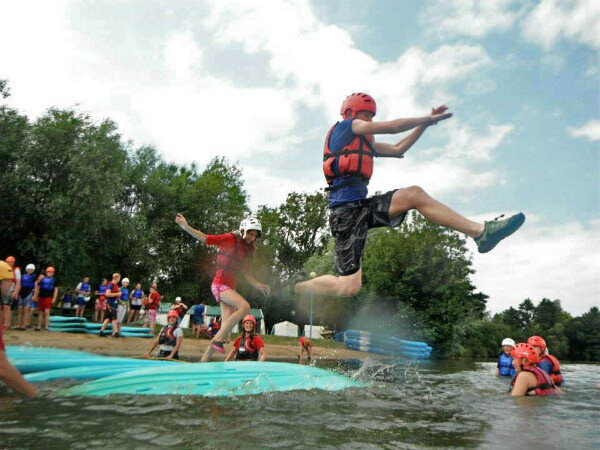 The party arrived at Ardres in the afternoon and after sorting out tents and equipment, they went to a wet assault course where they competed against each other in teams and got used to the water. That night they did some familiarisation of their local environment. Day 2 saw us doing a mixture of Kayaking, Canoeing, Raft building, Archery and Mission Impossible in teams of 12. 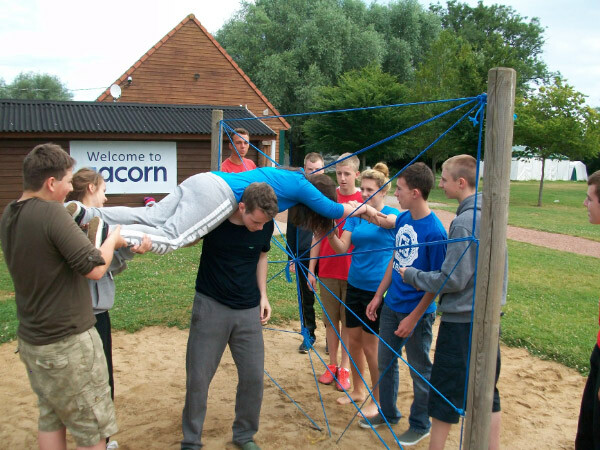 Mission Impossible was made up of a number of tasks that used thinking and teamwork skills to gain a solution, for example, moving a container from an exclusion area using some ropes and wood. In the evening we trekked to a nearby ice cream shop. The owners spoke very little English so we worked together to try to order around 50 different ice creams. Thanks must go to Alex Robson who recently undertook his GCSE in French and would have made his teacher proud of his skills. On day 3 we trekked into the local village and had a morning taking in the culture around their open air market. Again this gave everyone a chance to work on language skills and interact with the French people. For the afternoon we had a mixture of Kayaking, Canoeing, Raft building, Kata Kanue and Stand-up Sailboarding. In the evening we organised a volleyball competition between the groups. Our final full day on site was made up of Climbing, Night Line, Kata Kanue, Stand-up Sailboarding, Canoeing, Raft building and Kayaking. In the evening we held a talent show, with the staff doing a Pantomime, and cadets putting on various acts including a Lancaster Bomber show, a sing-along, and a ventriloquist show. The final morning saw the weather change with a massive thunderstorm while we packed equipment away and loaded the bus. We took a short stop at Cite Europe in Calais to pick up presents for loved ones then boarded the ferry for good old Blighty. 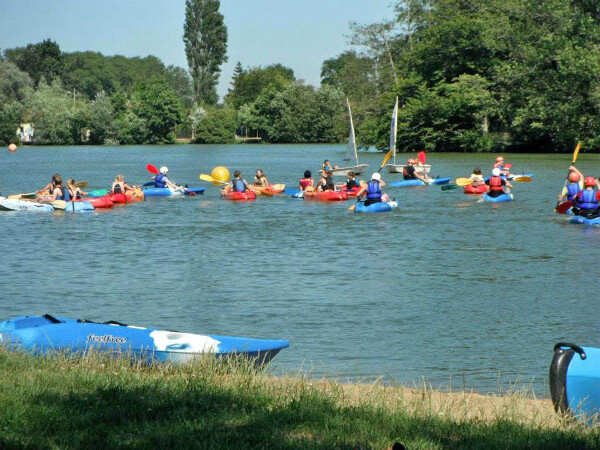 Over the course of the week all of the 41 cadets managed to achieve the standards for level 5 of the PaddlePower Passport Award scheme from the British Canoe Union, which is the equivalent of the 1 Star Award for adults. The week was action packed and exhausting but very rewarding for both staff and cadets with chances to build up a stronger rapport between all members. They also left with fond memories and hope to get a chance to do this kind of expedition again. The catchment area for Rotherham contains the third most deprived area in the UK and some of these young people haven’t even left Rotherham before this adventure. 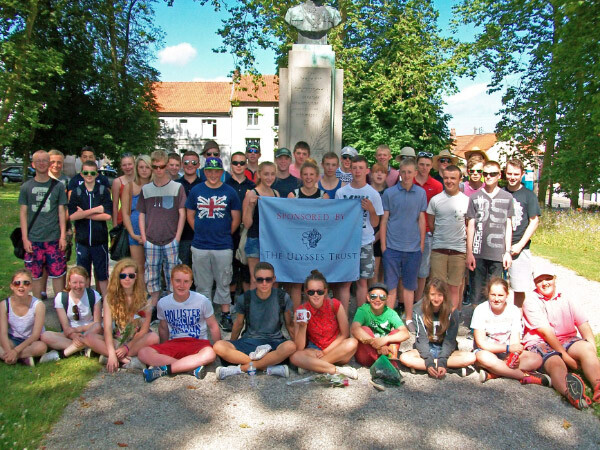 218 Rotherham Squadron Royal Air Force Air Cadets would like to thank the Ulysses Trust for their generous sponsorship of this expedition and the staff at Acorn Adventure for their enthusiasm and support.